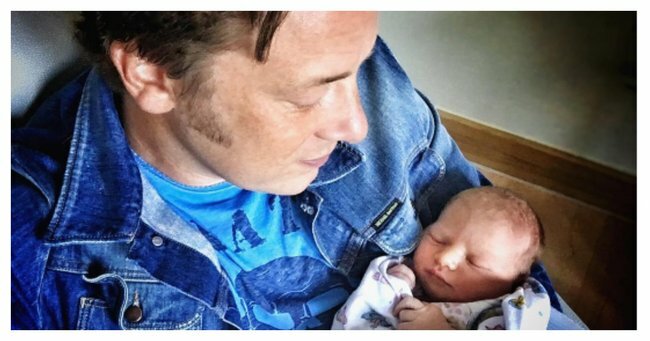 Jamie and Jools Oliver share more pictures of their newborn baby. Jamie Oliver is totally smitten with his baby boy and it is adorable. Sharing the joyous news of the arrival of baby number five yesterday, celebrity chef Jamie Oliver has wasted no time in taking more pictures of the adorable new bundle in his life. Meet baby Oliver number five. Source: Instagram. Oliver also thanked everyone for "all your good wishes," adding, "I really appreciate them X x". 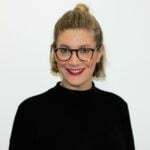 According to the chef and wife Jools Oliver, their four older children, Poppy Honey, 14, Daisy Boo, 13, Petal Blossom, 7 and Buddy Bear, 5, were all present at the birth, with Daisy and Poppy helping cut the umbilical cord. Sharing an image of herself breastfeeding following the birth, Jools wrote, "Little baby boy Oliver has arrived," continuing, "we are so very happy, blessed, grateful and totally in love all over again and so very proud of our two eldest daughters who cut the cord. Jamie was my hero." While baby boy Oliver is yet to be named, we&apos;re confident in guessing the parents won&apos;t be going with a conventional John, Mark or William. Jamie Oliver makes pizzas with Petal and Buddy.